NEW YORK, Oct. 26, 2017 /CNW/ - X-Rite Incorporated, the world leader in color management and measurement technologies, announces i1Studio, a new start-to-finish color management solution that delivers expert color results from capture to print. The i1Studio enables exceptional color accuracy for Photographers, Filmmakers and Designers of all levels to achieve consistent and predictable results across their workflow - saving time and money. 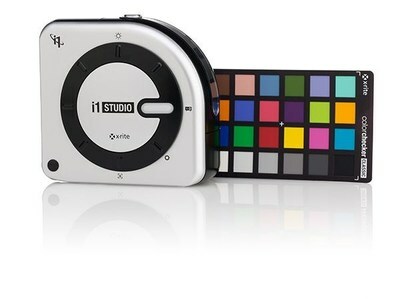 The package comprises the i1Studio all-in-one spectrophotometer, i1Studio software, X-Rite's market leading ColorChecker Camera Calibration tools and the ColorTRUE mobile app. Liz Quinlisk, Marketing Director Photo & Video, X-Rite, explained, "Managing color should be easy with accurate results every time. The i1Studio provides an intuitive start-to-finish color management solution for every device in our users' workflow so they can easily achieve this goal and get amazing results." i1Studio Device: The all-in-one i1Studio spectrophotometer is the only device Creatives need to profile their monitors, projectors, scanners, printers and mobile devices. i1Studio Software: The i1Studio software, based on X-Rite's award winning i1Profiler software, provides an easy-to-navigate interface that expertly calibrates and profiles monitors (including video pre-sets), projectors, scanners and printers. Also, i1Studio contains a new dedicated Black & White print module for creating custom profiles for five unique looks. ColorChecker Camera Calibration: The industry standard 24-patch target, gives Creatives the freedom to generate custom camera profiles, set white balance and establish a neutral starting point, helping to streamline edits. Includes stand-alone software and Adobe® Lightroom® Plug-In. ColorTRUE Mobile App: A simple way to calibrate Apple® iOS mobile devices for image viewing. X-Rite's i1 brand is the choice for color perfectionists. Amongst its many features, i1Studio includes dedicated profiling for Black & White prints, scanners, mobile devices and video monitors. The new i1Studio software, engineered on the same platform as X-Rite's i1Profiler, offers users a streamlined experience with the ideal balance of automation and creative controls to deliver prints perfectly matched to their creative vision. X-Rite's i1Studio is available through X-Rite's global reseller network as well as online at http://www.xritephoto.com, http://www.xritephoto.eu and http://www.xrite.com. 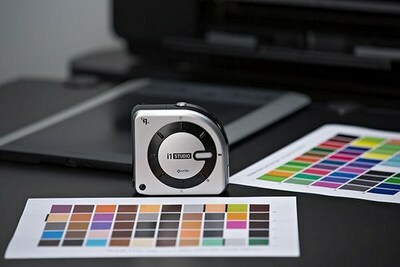 Existing ColorMunki Photo & Design customers can upgrade to i1Studio software free at http://www.xrite.com/geti1Studio. X-Rite is the global leader in color science and technology. The company, which includes color industry leader PANTONE Inc., develops, manufactures, markets and supports innovative color solutions through measurement systems, software, color standards and services. Visit xritephoto.com.